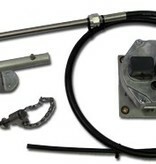 EASY TO BUY - Everything you need supplied in one box - drive, 6ft steering cable and universal connection kit. EASY TO FIT - The simple to mount installation kit and optional integrated rudder feedback make for easy fitting. COMPACT - The remote drive unit has a tiny 0.25Ft2 footprint and can be mounted in the most convenient location on your boat, horizontally or vertically. RELIABLE & SAFE - Proven, tested design. The drive unit features a manual override without having to disengage the autopilot first. COMPATIBLE WITH YOUR PILOT - The Type R Remote Drive System is compatible with all major brand inboard autopilot systems. Recommended for Yachts up to 38Ft (11.5m) with a maximum displacement of 15400 Ibs / 7000 Kg. 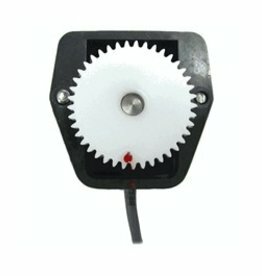 The Type RS Sailboat Drive makes it easy and economical to install an autopilot on light displacement sailboats with mechanical steering. The drive is very responsive and has little feedback resistance when in ‘Standby’ Pilot mode. The connection kit can be fitted into very small spaces, ideal for small to midsized modern sailboats which have limited space under the cockpit to fit drive units.